Just like humans, cats need to stay active to remain healthy. 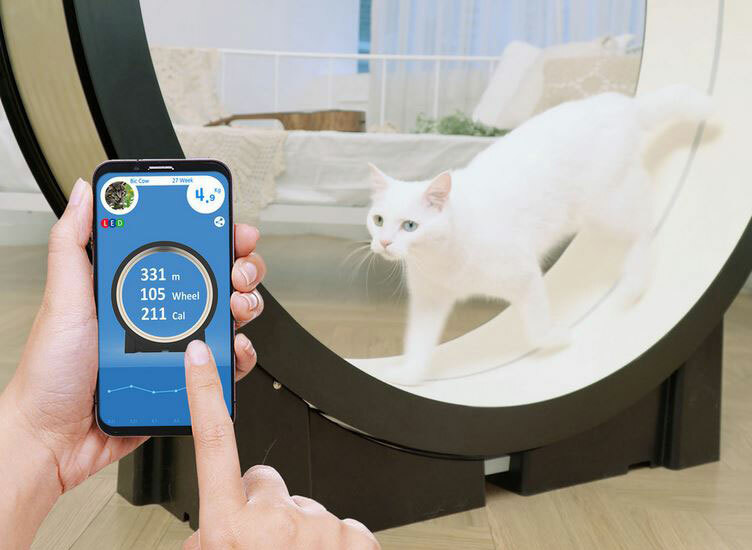 The Little Cat is a clever cat exercise wheel that pet parents can control from their smartphone. It has automatic and manual modes. The wheel has LED lights to keep the attention of the cats using it. The Little Cat connects to smartphones via Bluetooth. It displays distance, calories burned, and other useful info. This cat exercise machine has a footprint of 1.1m x 1.2m x 0.3m.